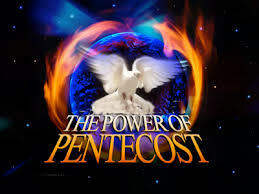 Pentecost: The Spirit of God says that your looks and appearance can be very deceptive. You must look into your heart, into the depth of your life to see who you really are. The Spirit of God says that failure can be more important than success. We can learn even from the sad and difficult times. The Spirit of God says that my vision must always be outward not inward and this will always include others. The Spirit of God says that love is about giving of myself even when I feel that I cannot. The Spirit of God says that forgiveness is the greatest reality that we know. We sin, we fail, yet we can be freed to go on. The Spirit of God says that honesty and commitment are the only things that matter in the end. The Spirit of God says that the sick and disabled are often those who are most alive for they know their dependence, they know that life is not in their control. The Spirit of God says that death is not the end of life as the great spirit present in us is not extinguished but transformed. It would be a pity to let the weekend go by without a simple prayer to the Holy Spirit for guidance, direction and a sense of hope and courage in everything we do. Spirit of God teach us what is really important in life. Deaths: We remember in our prayers Alice O’Mahony, Doyle Rd. & Marjorie Rice late of Capwell Ave. who died in England. We extend our sympathy to their families. Parish Pilgrimage to Mount Melleray Abbey. The Pilgrimage takes place this Sunday 24th May – Pentecost Sunday. . The Bus will leave outside the School at 12noon sharp. Exam Time: The Students Candle is lit at every Mass. They are remembered in our Shared Mass every Friday. Special Cards are available. Parish Library: Will reopen next weekend 30/31 May. Books will be available and returned, if anyone has religious books to donate it would be appreciated. 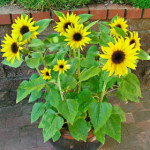 Planting the seed: after 10am Mass this Sunday there will a planting of Sunflower seeds in the grounds of the Church (near back gate) The seeds were received at the recent celebration marking vocations in our Diocese. The seeds of vocations are planted in families and nurtured in the local community. In the past year two young men were ordained priests for our Diocese and a deacon will be ordained next month. Pray for Vocations. The Credit Union Movement is built upon the efforts of volunteers who give freely of their time and skills to their credit unions in the spirit of co-operation. Why should I volunteer with Turners Cross Credit Union? The credit union has a team of volunteers that help to manage the Credit Union. We always welcome new volunteers and wish to invite anyone who is interested in volunteering to get in touch with us. Don’t think you have anything to offer? Yes you have – everyone has something to offer a credit union. You don’t need to be a financial expert or a wizard on the PC. Not sure you can make the commitment? Your credit union would expect some commitment – how much, is for you and your credit union to decide. Start with a few hours’ per month and see how it goes. Ok, I’m ready. What do I do next? If you are a member, speak to a member of staff, an informal chat with no obligations this will help you and your credit union decide what you want to do and where your skills can be used most usefully. Date for your Diary: Than annual Eucharistic Procession will take place in our City on Sun. 7th June. 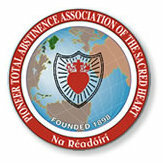 Our own Archbishop Kieran O’Reilly SMA will be preaching at the ceremony.